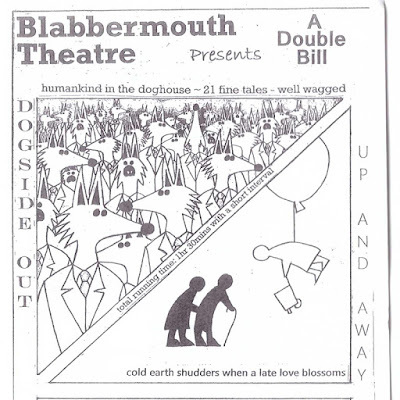 Blabbermouth Theatre return to St Ives Arts Club with two new productions - 'Dogside Out' and 'Up and Away'. 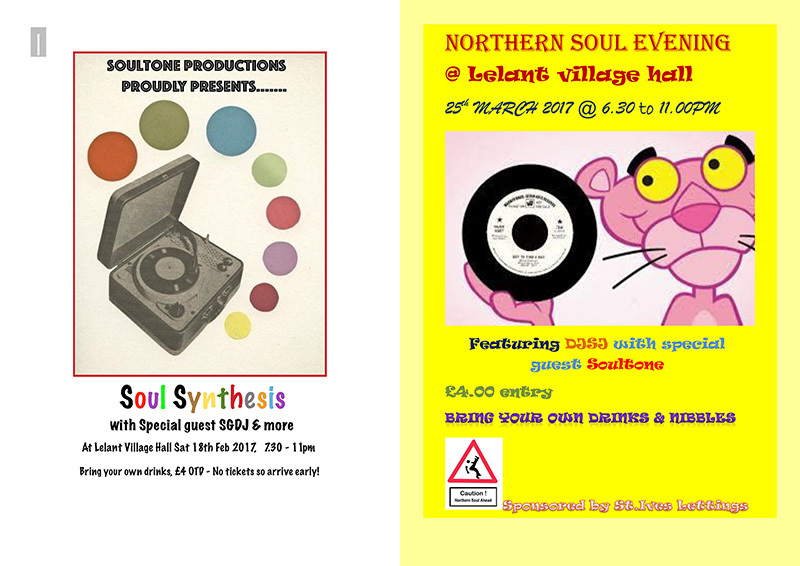 Friday 3rd March 2017 at 7.30 pm - doors open 7.00 pm. Dogside Out: Humankind in the doghouse ~ twenty-one fine tales - well wagged. These short, interlaced pieces - humorous and dramatic - are about the human capacity for blending cruelty and kindness, reflected here in the many ways we treat our companion animals. 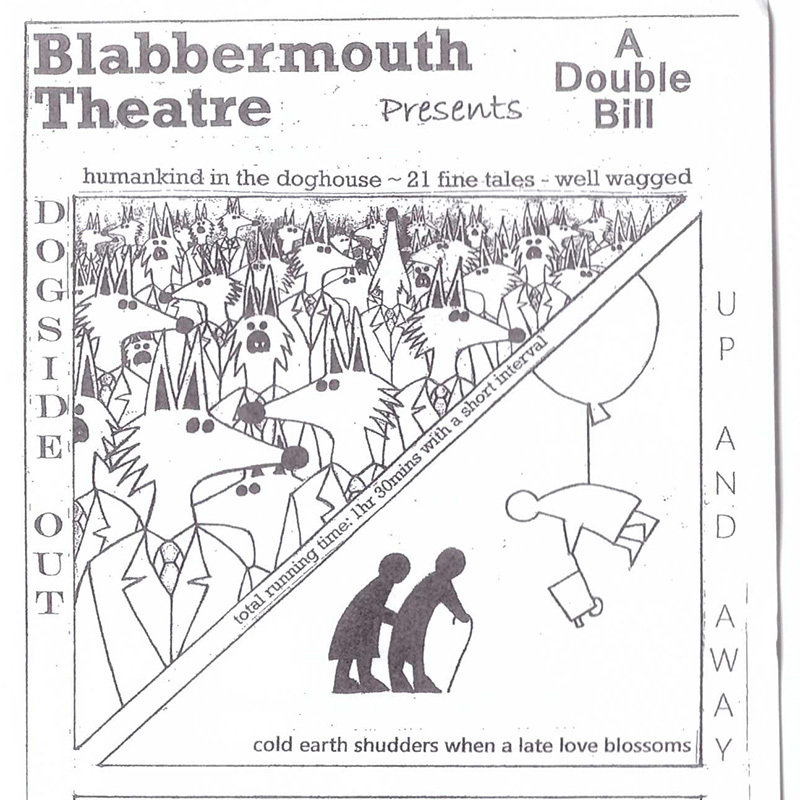 Up and Away: Cold earth shudders when a late love blossoms - a play. Mary and George are deeply embedded in an exhausting, contentious married existence. Edna's chance arrival inspires love, hatred and the expression of needs long dormant. A humorous and moving examination of infirmity and strength - passion and morbidity - and the urge to recover purpose and meaning in our lives...before day's end. Tickets are £8.00 / £7.00 (concessions). 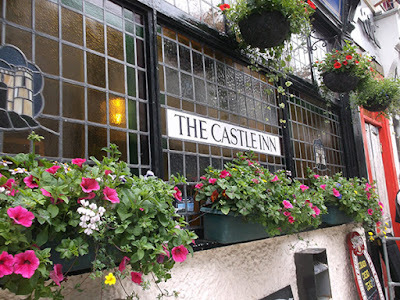 Pub Quiz -The Castle Inn - Mondays at 8.30 pm. 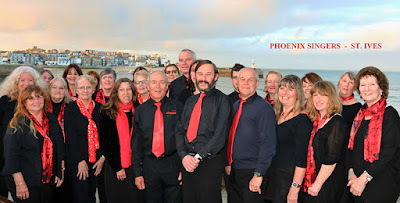 Phoenix Singers - St Ives Arts Club - Tuesdays at 7.30 pm. 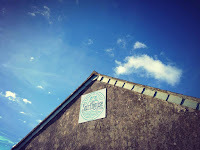 Guitar For Beginners - Barnoon Workshop - Wednesdays at 7.00 pm. Friday 24th to Sunday 26th March 2017. Three days of live music to delight country music fans. Music starts on Friday night, with more on Saturday and Sunday. The weekend will be compered by Roger Shepherd. Henry Smith Band - Friday evening. Paul Martin Band - Saturday evening. Tumblin' Dice - Sunday afternoon. Chris Dunne Band - Sunday evening. 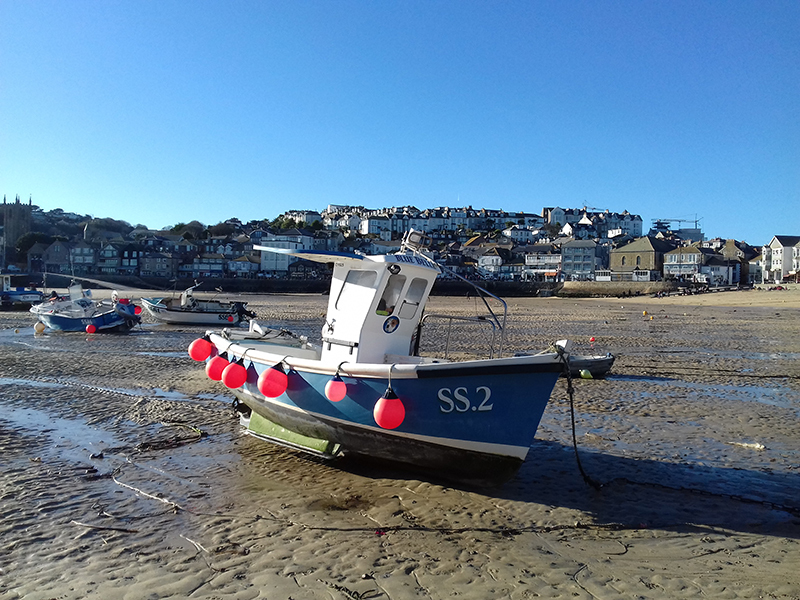 St Ives Holiday Village is set in over a hundred acres of woodland, a haven for nature and offering something really magical to explore. 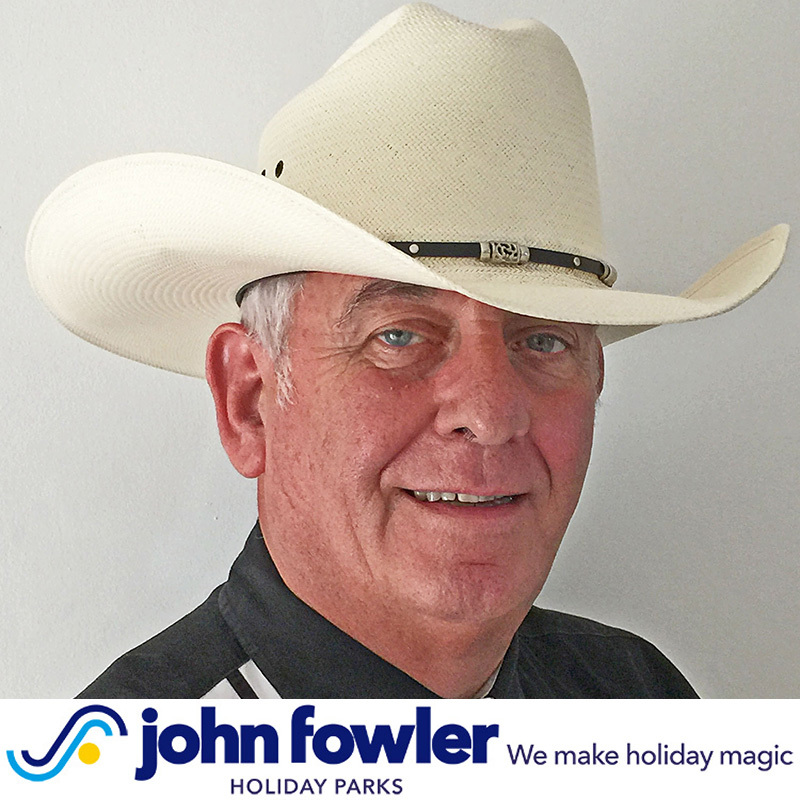 There is a wide range of accommodation from woodland chalets to luxurious lodges. The multi-platinum selling vocal harmony group G4 will be coming to St Ives in March - with their trademark harmonies that wow audiences wherever they go. 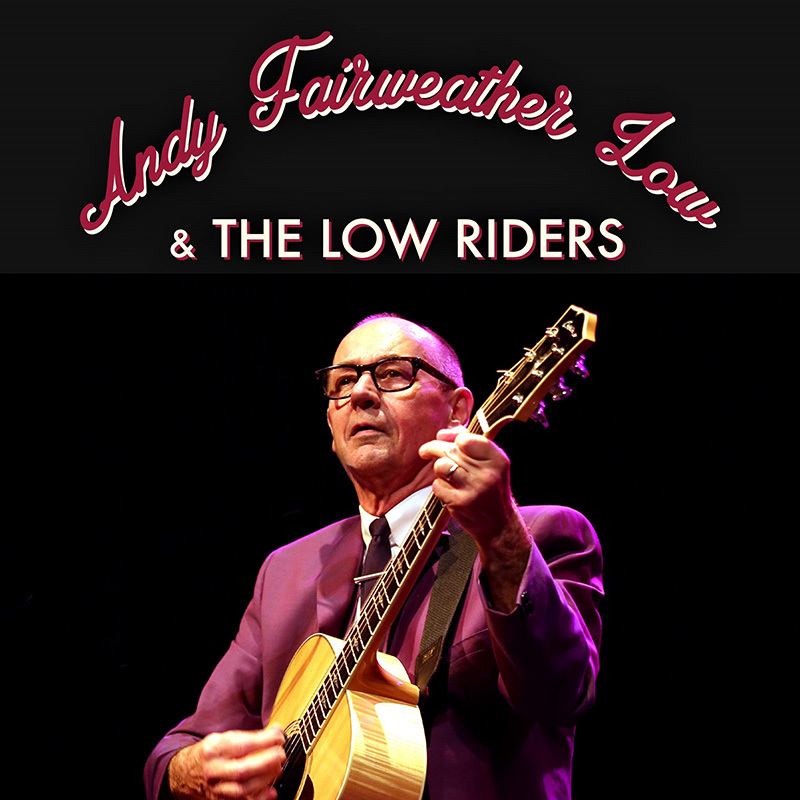 Wednesday 22nd March 2017 at St Ives Guildhall. They will be re-creating their unique take on songs such as Bohemian Rhapsody, Circle of Life and Nessun Dorma. 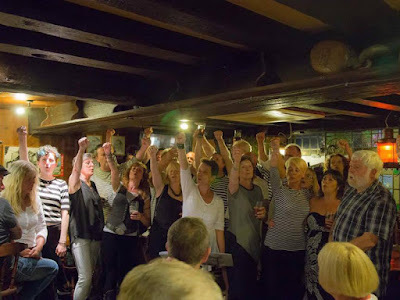 They also will perform some of the latest chart-toppers including Hold Back The River, Thinking Out Loud and Uptown Funk in their own inimitable style. 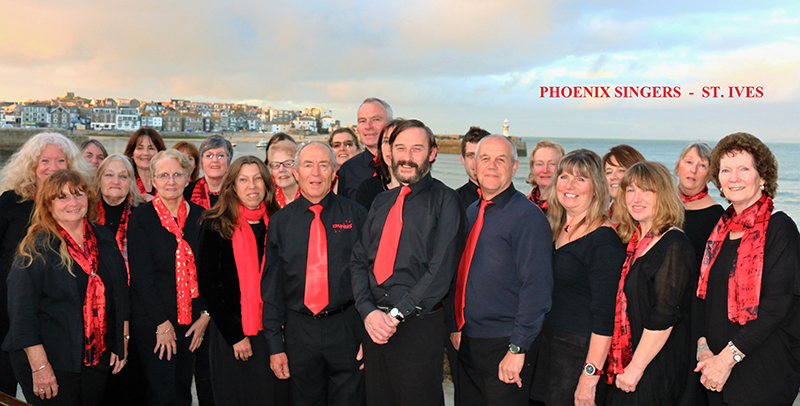 St Ives choir - Phoenix Singers - with musical director Myran Myan and accompanist Stella Pendrous will also be on stage. They will perform 'He Ain't Heavy, He's My Brother' as their own solo number. 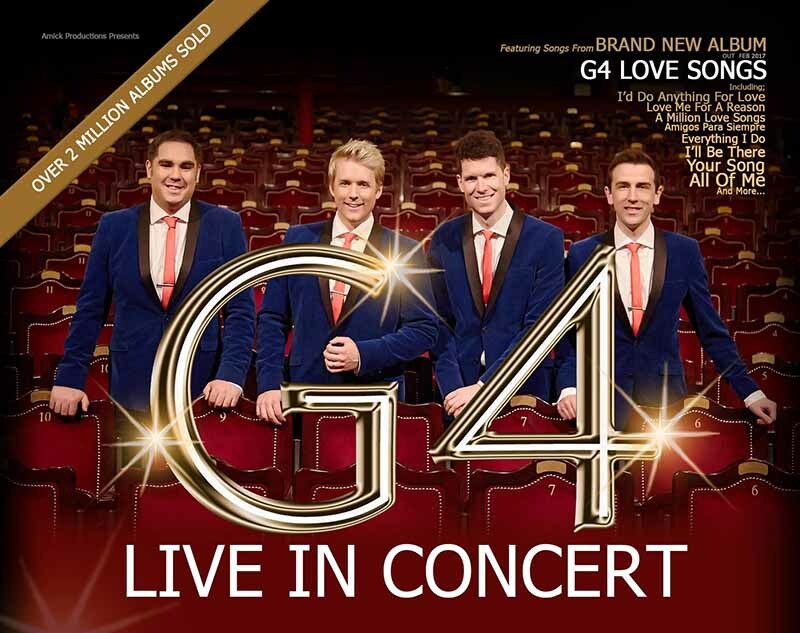 They will then be backing G4 for five songs - 'Barcelona', 'Danny Boy/You Raise Me Up', 'I'll Be There', 'Nessun Dorma', 'You're the Voice'. VIP tickets are also available - £65.00 - which includes seats in the front two rows and a Meet & Greet with G4 at 6.00 pm. Crossfire 69 - Friday 17th February at 9.00 pm. 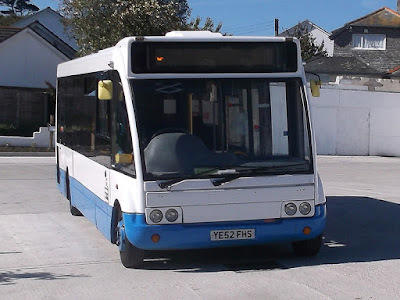 Pop Cornwall - Saturday 18th February at 9.00 pm. Mr T - afternoon acoustic - Sunday 19th February at 3.00 pm. 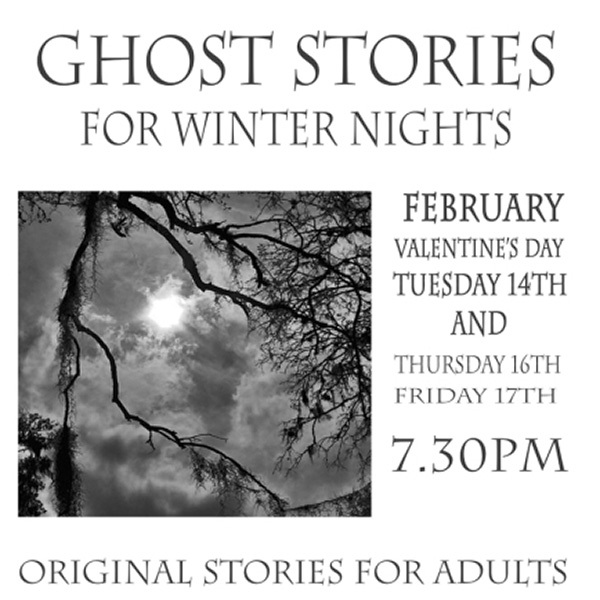 Ghost Stories for Winter Nights. Friday 17th February 2017 at 7.30 pm. Original stories for adults and children over 12. Paint a Mini Masterpiece - Like Terry Frost. Saturday 18th February 2017 at 10.30 am. Explore the art of abstract artist Terry Frost - be inspired to create your own mini masterpiece. Saturday 18th February 2017 at 7.30 pm. 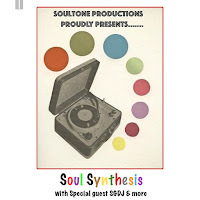 Soul Synthesis with SoulTone Productions. Tickets: £4.00 - on the door. 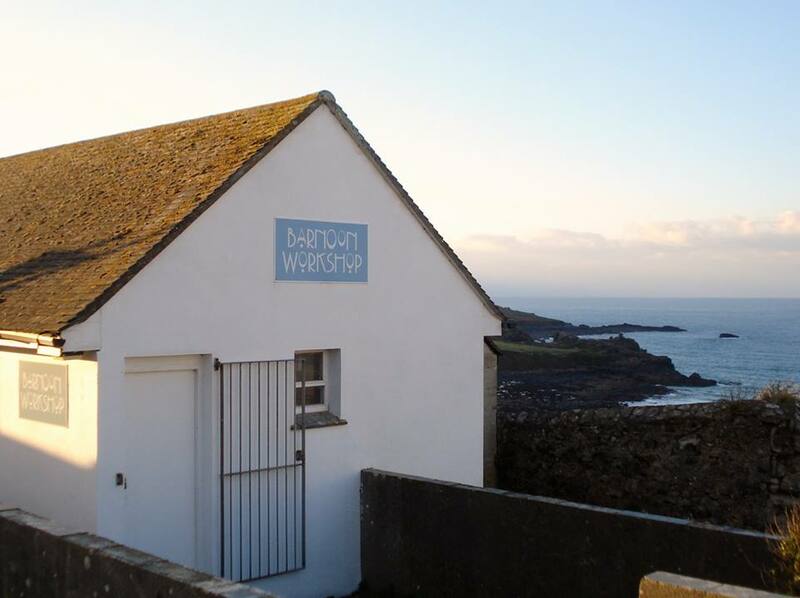 Drop In And Draw - Barnoon Workshop - Mondays at 10.00 am. 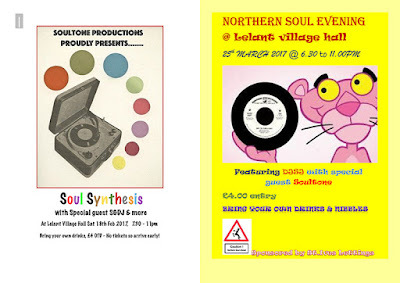 New - on Saturday nights at Lelant Village Hall - Northern Soul. 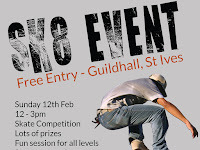 Saturday 18th February - 7.30 pm to 11.00 pm. 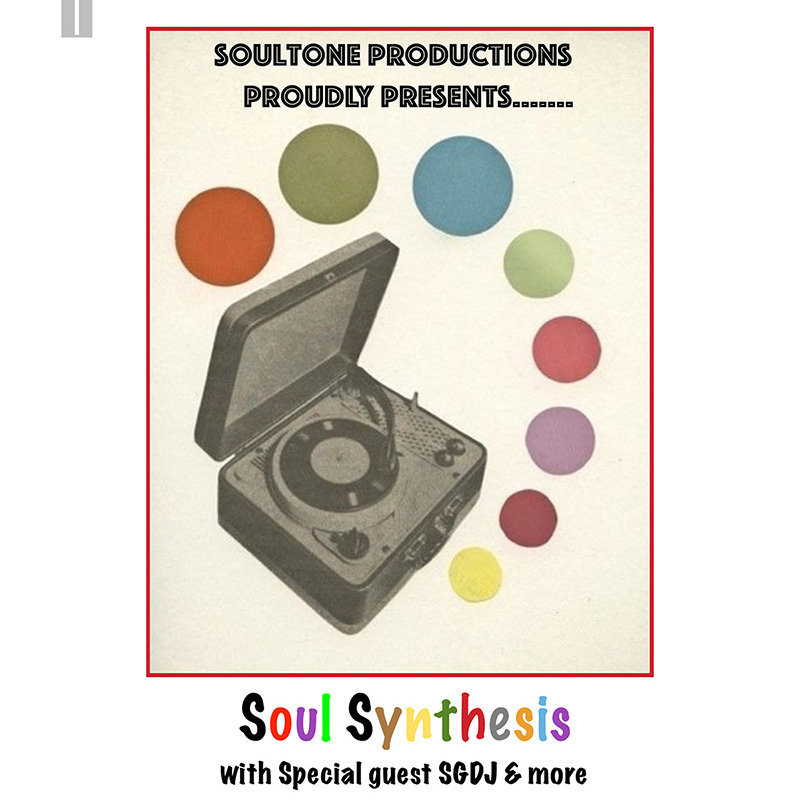 Soul Synthesis - with SoulTone Productions and guests. Saturday 25th March - 6.30 pm to 11.00 pm. Bring your own drinks and refreshments. 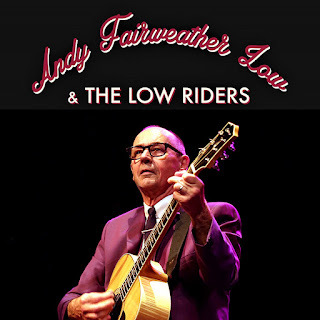 Tickets - for both events - are £4.00 - on the door. 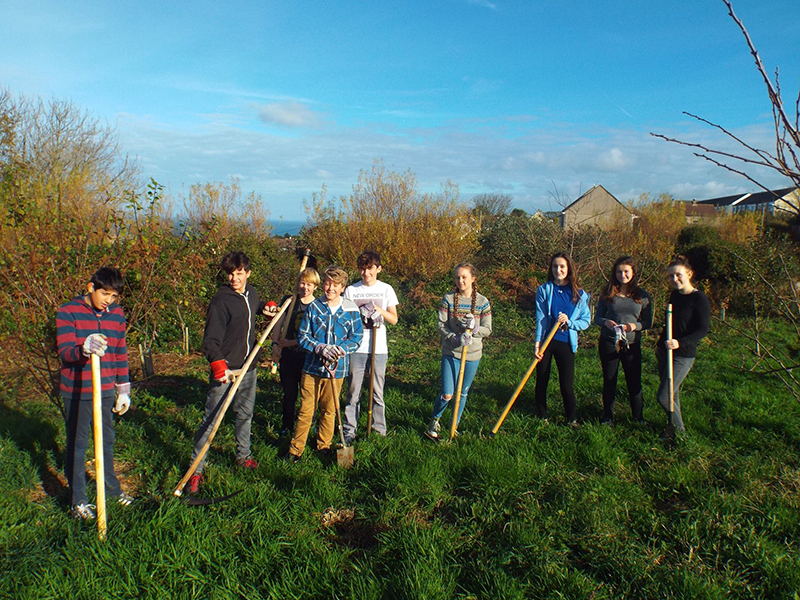 St Ives Community Orchard will be holding regular work parties throughout the year. 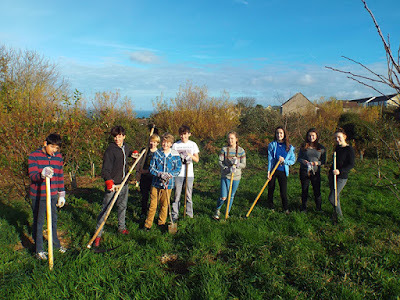 Plus - a great idea to get more youngsters involved. 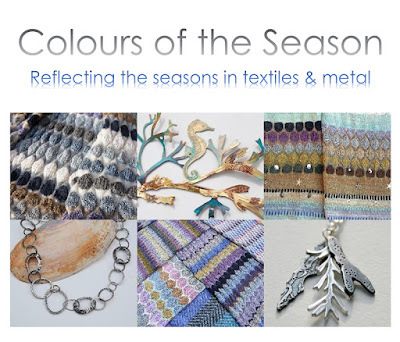 A great local project well worth supporting. A varied programme of events in Seagull City through February 2017. Disco In Kernow - Friday 3rd February at 9.00 pm. Freewheelin' - Saturday 4th February at 9.00 pm. Dappers - afternoon acoustic - Sunday 5th February at 3.00 pm. Live music at The Castle continues every weekend throughout February. Surf Cinema - Lost Atlas. Friday 17th February 2017 at 7.00 pm. More surfing themed films will be scheduled for Spring 2017. 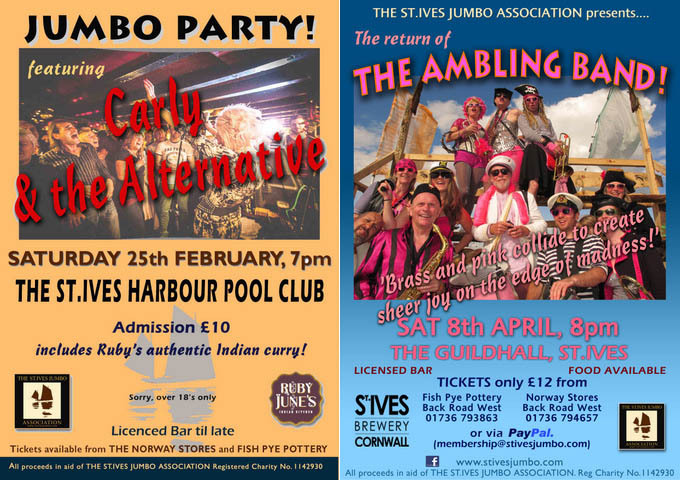 Two community events in February well worth supporting. 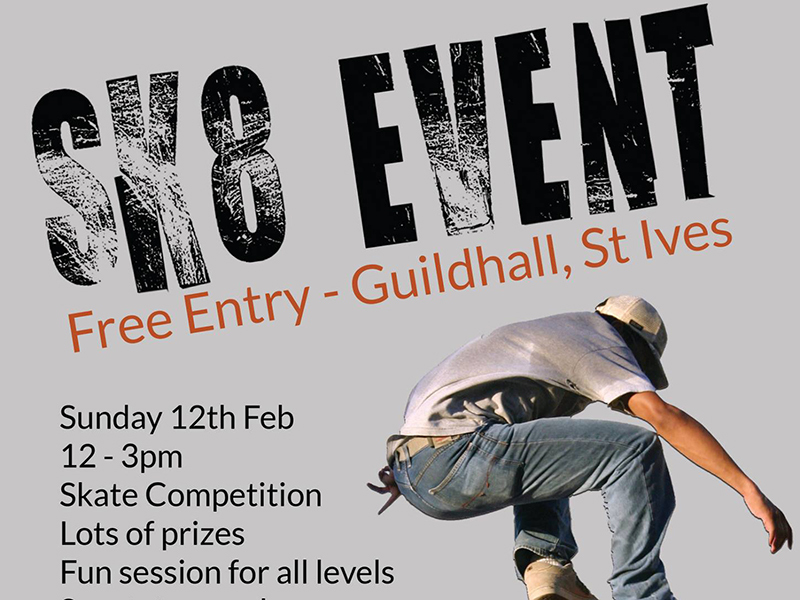 SK8 - St Ives Skatepark Project - Sunday 12 Feb - 12.00 pm. 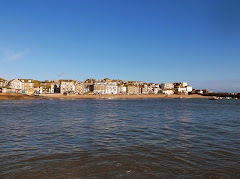 St Ives Rotary Charity Quiz Night - Friday 24 Feb - 7.00 pm. 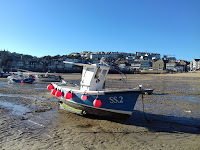 Plus - St Ives Farmers Market - every Thursday - 9.30 am. St Ives Knitting Group - Cafe Art - Tuesdays at 3.00 pm.